Would your local group like to apply for a grant? Please see the below chart to see which would be the most applicable to you! 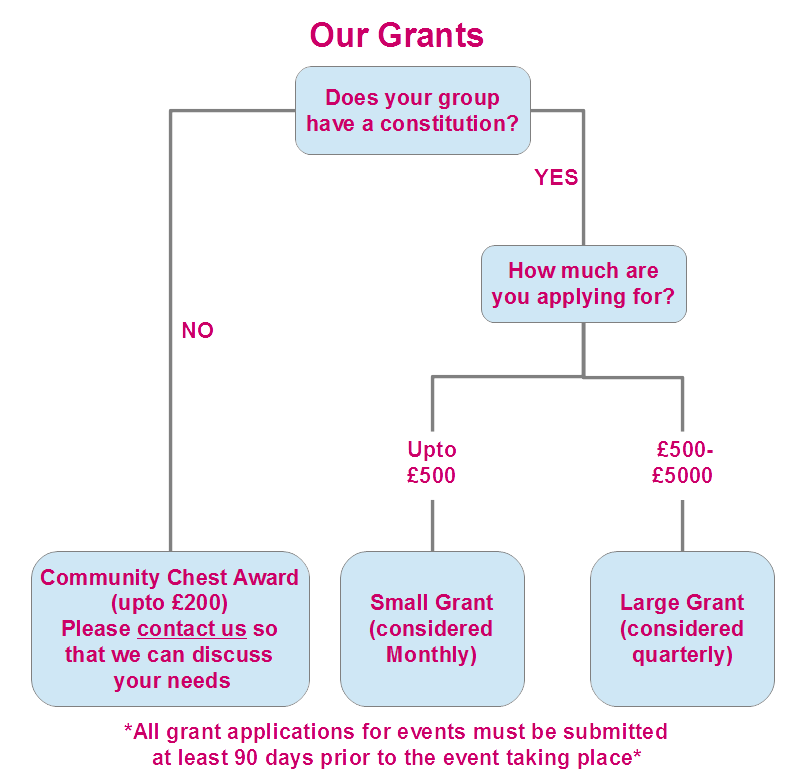 You can view the grant application forms on our Documents page, or Contact Us if you are wanting a Community Chest Award.